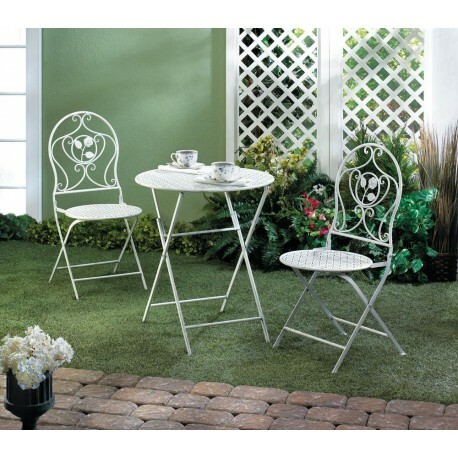 You'll enjoy your morning coffee along with your outdoor living space thanks to this charming white bistro set. The x-leg table and two matching chairs are made from durable iron and finished with a brushed antique white to make your patio, porch or deck the best spot to sit and sip. Chairs: 19 1/4" x 16" x 35 3/4" high.